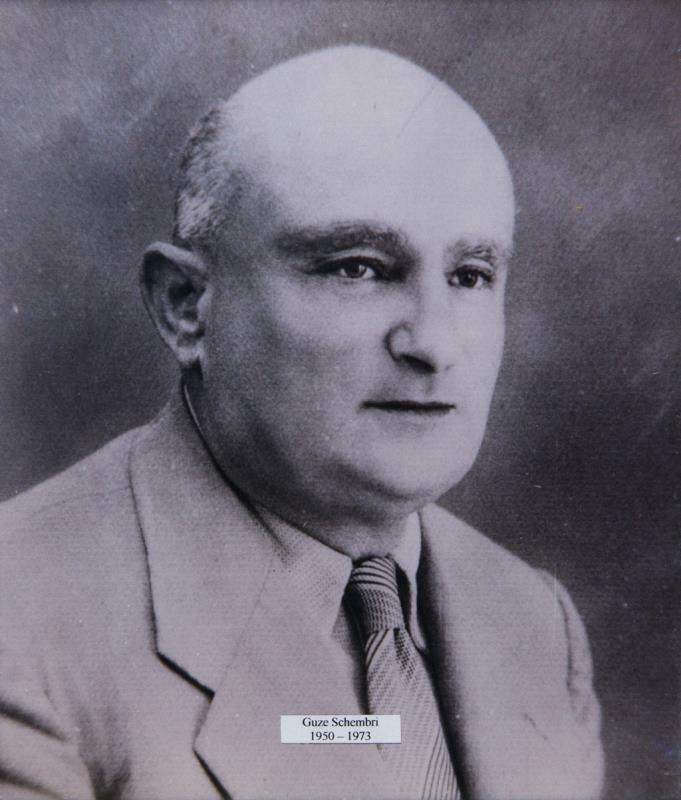 During the first sitting of the Constitutional Club Mellieħa held on 31 August 1924 Mr Walter Salamone was nominated as Vice President and Acting President for that meeting. Present also for that first sitting were Carmelo Stellini, Gio Maria Vella, Francesco Buttigieg, Gio Maria Sammut, Salvatore Chetcuti, Francesco Bonello, Gino Gauci, Angelo Cutajar and William Howe. Marquis Testaferrata Olivier was nominated as President, Carmelo Stellini as Cashier, G.M.Gauci as Vice Cashier and Giorgio Vella as Secretary. The rules governing this Club were approved during this meeting. In another meeting held in October 1924 there was a proposal for the setting up of a football team, 73 members were approved and the Club's Buffet was in the hands of Francesco Buttigieg. Three meetings were held in 1925. The Club's Buffet was rented out at £1.50 per year, another 11 new members were registered with the Club and all the members contributed financially towards the running of the Club, with a promise of being refunded. In January 1926 a new Committee was elected. There were now 126 members and it appears that in May of the previous year an 'Orchestra' Society had been established under the name of Saint Cecilia, patron Saint of music. The Most Noble Lady Strickland contributed the sum of £10 towards this same orchestra and the players themselves were paying 1s6d monthly. There were only two sittings in 1926. Things started to gear up in 1927 with a total of 17 Committee meetings. New elections were held and by the end of the year there were around 212 members in the Club. Some new instruments were bought for the Orchestra and refunds in full payment were paid out to those members who had contributed earlier in 1925. An excursion to Gozo for Mellieħa residents was organised in July 1927 on board the S.S. Wembley and a collection was made to buy some benches for the Club's entrance hall. It was also decided to invite a Band to perform on the eve of the Mellieħa Feast in September and fireworks were ordered for that occasion. In 1928, 18 sittings were held by the Club's Committee. The new Honorary Committee featured new faces like Sir Gerald Strickland and the Most Noble Count F. Sant Cassia. The Club now boasted 210 members, quite an achievement for a relatively new club in such a small village. During this year's first meeting the 1924 regulations were confirmed. On 20 January 1928 the Club rented the premises at 21 and 22 Parish Square Mellieħa at an annual rent of £23 for 12 years, under certain conditions. Three members were appointed to cater for this rent but in July of the same year the Club's Committee decided to take full responsibility for the payment of this rent. In November it was decided to terminate the Orchestra Conductor's office and in December there was a proposal, which was not accepted, to change the name of the Club. There was also a demand for a new Club President and Vice President. Eventually, on 23 December 1928 we find Dr Angelo Attard Montalto as President and Dr Armando Mifsud as Vice President. Another proposal suggested the establishment of a Band under the name of "Duke of York". This was unanimously approved and funds were to be collected towards the buying of some instruments for this Band. The year 1929 started off with all the members of the Club being made Honorary members of the B'Kara Constittional club, indeed an honourable move between two entities. There was also a new proposal for the aquiring of band instruments from the RMA Band. Some donations were made and all the Committee members lent sums of money towards this end. Eventually £90 were paid to the owner of these 44 band instruments, including drums. Letters of thanks were sent to Mellieħa emigrants for funds collected for the purchase of a new Club banner and also for music sheets sent to the Club, while 30 lecterns were donated by a Club supporter. Another important move was the proposal for the setting up of an independent Committee for the Band, with one member from the Club's Committee and four other members to be chosen from the Band players. To raise funds for the Club, an excursion from Mellieħa Bay to Mġarr, Gozo, was organised in July of the same year on the vessel L'Odin. Only 7 Committee sittings are recorded in 1929. An important decision was taken in Sitting 51 of 14 September 1930 when it was decided to hold a Band programme in the Parish Square. Invitations were sent to all the Mellieħa clergy, to the President and members of the Vittoria Club of Mellieħa and other persons. In the meantime no permisssion was given by the Police for the Band to play during the village Vitorja feast. The Vittoria Band suffered the same fate. Under age children were not to be allowed inside the Club unless with their parents or guardian, the person in charge of the Buffet was warned against cleanliness and other matters, and other disciplinary measures were taken against another member of the Club. All these instances demonstrate the Committee's ability to deal with such problems and its adherence to and enforcement of the Club's regulations. There were only 5 sittings in 1930. The political atmosphere prevailing in Malta in 1931 saw the Club's Committee adding two important rules to its regulations. No propaganda or political discussions were to be held in the Club under penalty of being expelled from the Society. Those presenting themselves as candidates for Parliament, or who were members of Parliament or worked with any political party could not stay on as members of the Club. A vote was taken on these matters with 106 in favour and 10 against, again an important instance demonstrating the maturiy and good governance of the Club. This was on 15 March 1931 and it was the first time in the Club's Committee sittings that we find the new name of the club as 'Imperial Band Club'. Several matters regarding the monthly payments by the Band players, the Club's Blessing by the Parish Priest, the Band taking an active part during the Feast of St Joseph and payment of arrears by the members were taken in hand and settled, all showing that the Imperial Club really meant business when it came to administration. A very important resolution was approved concerning the Royal Commission. The Filarmonic Society Imperial of Mellieħa, moved by a patriotic duty without any political aims, wanted to show how detrimental, both economically and socially, it would be to suspend the Constitution. For this reason it was requesting that the Constitution for a Responsible Government should be restored and that the Maltese Language be recognised as the Official Language of the Constitution. Copies of this important resolution were sent to the Secretary of the Royal Commission and to the Press. Considering the whole political situation existing at the time, this was indeed a praiseworthy and resolute undertaking coming from such a small club. On a lighter note, another excursion by boat, this time around Malta, was organised in July 1931 and in the same month the Imperial Band was invited to play on Comino for two consecutive days. In September, two new banners for the Band were blessed by the Parish Priest and agreement was reached, in conjunction with the same Parish Priest and the Vittoria Band, for the Imperial Band to play during the forthcoming Vitorja Feast of Mellieħa. The Parish's financial contribution towards this end was to be divided equally between the two bands. Payments were made to those members who had lent money for the purchase of the Band instruments and, in case of mourning for committee members or band players, the flag on the Club's roof had to be flown at half mast. Other matters concerning payments to the Band Master, payments by the Band players, updating of membership fees and disciplinary measures on the running of the Club premises themselves were continually being updated to keep the Club socially, administratively and financially healthy. A new banner, featuring the Union Jack, was blessed on 4 September 1932 while another excursion to Gozo was organised on the 17 of the same month on the launch Lady Strickland. It was also decided to hold a band march in the main streets of Mellieħa on New Year's Day 1933 from midday till 3pm and a fair later on in the afternoon, thus keeping up the Club's momentum of creating new activities and meetings for the entertainment of the Mellieħa community. The Band Master's salary was increased at the beginning of 1933 and it was also decided to have a uniform for the Band players. The Band players' contribution towards this end was also agreed upon and a fair was held to help in its financing. 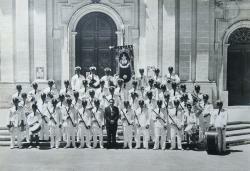 On 20 August 1933 the Imperial Band took part in a programme in the square in front of the Club where the new uniform was presented for the first time. The Imperial Band also took part in Birgu during the Feast of St Dominic. It was decided that during the Club's Easter Blessing all the clergy of Mellieħa were to be invited. This year the Club's Buffet was given out for two years at an annual rent of £18.12s.6d under several conditions. A letter of thanks was sent to Count Sant Fournier for serving as President for 1933 and for accepting to continue in that role for 1934. There was a total of 10 Committee sittings during 1933. 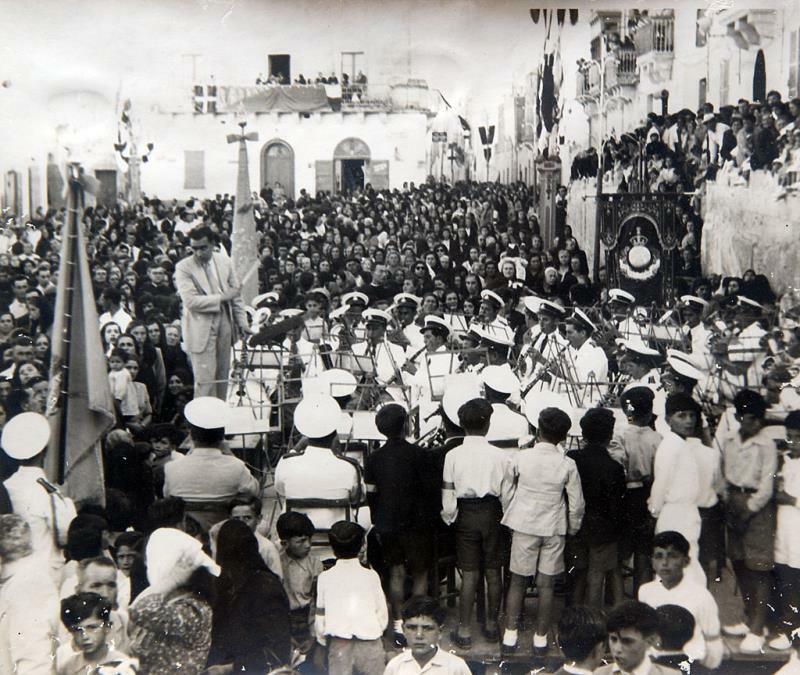 The 8 Committee sittings of 1934 were highlighted by a series of fairs, tombolas and various programmes in which the Band took part in Mellieħa and in other places such as Rabat and Birgu. A feast in honour of the Club's President was to be held on Sunday 17 June and another programme was scheduled to be held in the Square in front of the Club on 5 August, when the uniforms' decorative shoulder laces were to be presented. With 13 meetings, 1935 promised to be a very active year. It kept the same Committee as 1934 with Dr Attard Montalto as Honorary President, Adv Olaf Gollcher as President, Gius. Bugeja Bonnici as Vice President, Gius Gauci as Secretary and Carm Vella as cashier. Four members from the same committee were chosen to form part of the Band Committee. To keep up with the Club's regulations, steps were to be taken against band players who failed to turn up for music rehearsals regularly. The Band was again invited to perform in various places around Malta, amongst them Rabat, Birgu and Attard and various fairs were held to help in the Club's finances. 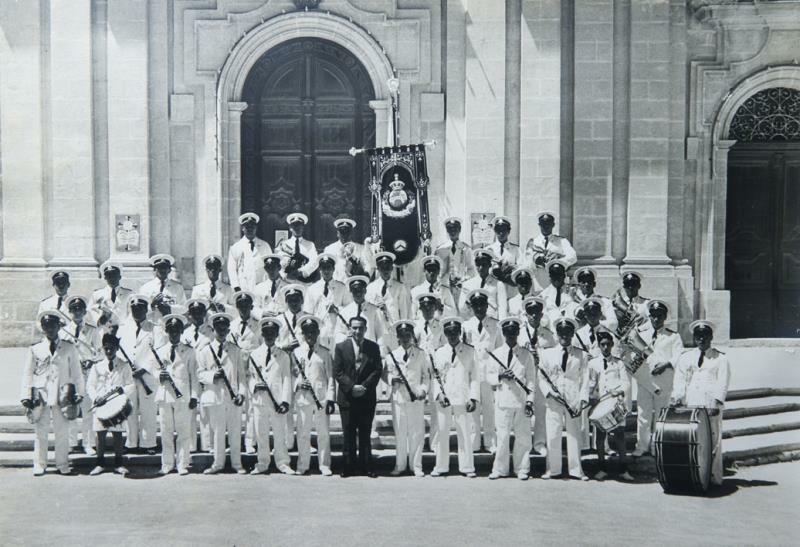 The Band was also invited by the King's Feast Committee to play in Mellieħa on the occasion of King George VI's accession to the throne of England. The Club's Buffet was rented out for a period of four years at an annual sum of £20.1s.4d., again under certain conditions. The last payment to one of the members, on the sum lent to the Club in previous years by some members, was effected in December 1935. 1936 kept the same Committee as 1935, without the need to hold a General Meeting. 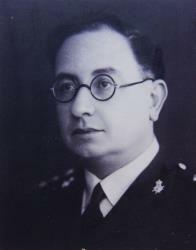 Commander Price was made Honorary Member of the Club, several fairs and tombolas were held and the Band was again involved in playing in various villages in Malta. On 27 June 1936 the RMA Band played several scores in Parish Square and the Imperial Club invited the RMA Colonel and his wife, the whole band and some friends inside its premises. The Club had obliged by offering its bandstand to the visiting band. 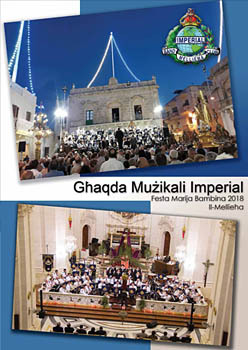 During this year's Vitorja Feast in Mellieħa, the Imperial Band will perform a march from the Church to the Imperial bandstand and then hold a programme there on the 6 September 1936, a march at midday and another one in the evening together with a programme on the 7 September and a march from the Church to the bandstand and a programme after that on the 8 September. On the 6 September three new banners belonging to the Club were to be blessed. On 20 December 1936 the British Governor of Malta will be visiting Mellieħa and the Imperial Club will be inviting him and all his entourage inside the Club. The Military Band will be performing in the Square and it will make use of the Imperial Band Club bandstand. There were 7 Committee sittings in 1936. Apart from the usual performances given by the Imperial Band during various village feasts in Malta, this year the Band was invited to take part in the celebrations to be held in Valletta on 15 May 1937, commemorating the Crowning of King George VI. After obtaining permission from the Director of Education the club held various fairs in the Mellieħa Government School. 1938 brought about two different social activities to the Club. One was the introduction of a farce or short comical theatrical play to be performed during the fairs held by the Club and the other was creating some sort of activity for Carnival time. Both achieved popularity and theatrical companies from outside Mellieħa were also invited to perform. Only six Committee sittings were held in 1938. Nothing special was recorded in 1939 when only four sittings were held. It seems that the threat of war in the European theatre was already being felt even in this tiny Island of Malta and in Mellieħa. Apart from two fairs and one Band performance at Rabat nothing of importance was recorded. According to the Club's sittings, the same can be said for 1940 when only one meeting, No. 139, was held and that on 11 January 1940. The next sitting, No. 140, took place on 16 January 1943, more than three years later. However we must note that some sort of activity was still taking place during those three years, for, in the latter meeting, the financial accounts for the years 1940-1942 were presented. After this January 1943 sitting, the next one to follow was held on 28 September 1943, when it seems that things started gathering momentum again with the organisation of two tombolas and the offering of the Club's Buffet renting to the public. In 1944 a new Committee was elected with adv. Olaf Gollcher as President and A. Sant Manduca as Vice President. The Honorary Committee included Baron A. Attard Montalto as President, Mr Joseph Schembri as Vice President and Marquis Gius Bugeja Bonnici, the Hon. Captain John Formosa, Architect Edwin England Sant Fournier, Mr Emanuel Costantino, Harry Cavarra and Mr Vincenti Kind as members. Two delegates were chosen to represent the Imperial Club in the National Assembly. The Club's Buffet was rented out for two years to the highest bidders at £32.6s.11½d. In such public offers, it was customary to add the half penny to the price offered for occasionally it decided the whole transaction. A problem arose between the owner of the Club premises and the Committee regarding the painting and decorating of the Club. It lingered on into 1945 when it was agreed that each party would pay for half the expenses. With World War II somewhat away from our shores, in 1945 there were 10 Committee meetings. Again the Imperial Band was involved in several marches and programmes all over the Island and fairs were held to help in the Club's finances. 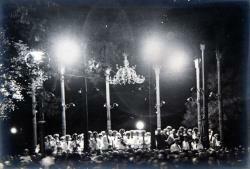 For the Vitorja Feast in September 1945 it was decided to invite the Rabat Band and agreement was also reached about the Parish Priest's contribution towards the Band's service during the Feast. Fireworks were also mentioned during one of the sittings and in December 1945 the Committee decided to buy a generator for the Club. We must mention here that electricity supply was first brought to Mellieħa in November 1949. During 1946 there were 19 Committee sittings in all, with a new Committee elected on 7 February. The proposal about the generator for the Club was finalised and four persons offered to install lights in the facade of the Club. In June 1946 Mellieħa had a new Parish Priest, Rev. Fr Francis Xuereb, and the Imperial Band took part in his taking office ceremony. He was also presented with a gift. It was decided to allocate £25 towards the fireworks for this year's Vitorja Feast. The Band took part in several musical activities both locally and in other villages in Malta. Various decisions were taken for the the good governance of the Club, including behaviour by the members inside the Club. As from 1 August 1946, disciplinary measures were to be taken against band players who quit the Band without giving satisfactory reasons. They were to be suspended from entering the Club for at least one year. The Club's Buffet was rented out at £27.7s.11½d. for a two-year period under the usual conditions. 1947 brought with it several new initiatives. A proposal was made to rent or buy a Billiards Table, while an excursion around Gozo by sea on the vessel King of England was to be organised in August, with the Band playing in Marsalforn. It was also decided that, for this year's Feast, tenor Zammit Harrison was to be invited to sing the Hymn in honour of Our Lady on the 6 and 7 September and, if permission was granted by the Parish Priest, the usual march held on the 7 September at midday would be held in the morning. A meeting was to be held in the Mellieħa Police Station between the Imperial Committee and that of La Vittoria to decide on the right of honour in being first for the Band to play in the Feast of Our Lady of the Sanctuary on 24 September. Another important matter was the setting up of a Malta Band Clubs Association of which the Imperial Band became a member. 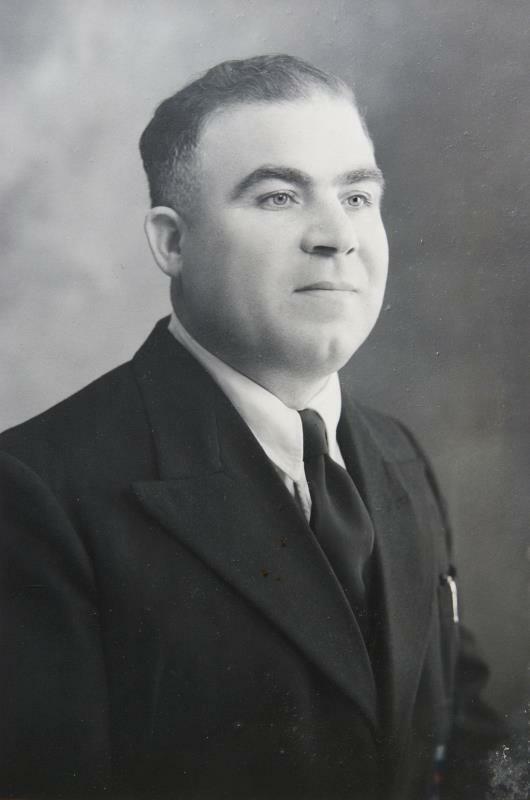 In November, the Honorary Vice President of the Club, Giuseppe Schembri, invited the Band to organise a march and a programme in his honour after being elected to the Legislative Assembly of the Labour Government This was to be held on 9 November 1947. There were 16 Committee sittings in 1947, quite a hectic year. 1948 started off on a high note with the Committee petitioning the Ministry of Finance for a Lotto Office in the Club's name, together with the purchase of a sewing machine, worth £26.12s.0d., to be drawn in a lottery. A problem which had originated in 1947, regarding the appointing of a new Band Master, was finally settled in March 1948, with the new Maestro A. Sammut taking office on 1 May 1948. Another new face in the Imperial Club was Dr Flores who was appointed Honorary member. In the meantime another proposal was made to collect funds for the making of a flag bearing the coat of arms of the Imperial Band, worth £25. When this flag was presented to the public for the first time, a special celebration was held and a trophy was presented to the Band together with a gift to Maestro Sammut who was conducting it for the first time in Mellieħa. During this year, the Imperial Band was heavily involved playing in various localities in Malta. The Club's Buffet was taken over for two years by two members for £95.12s.10½d. There were 20 Committee sittings in 1948, a record number so far, showing the ever increasing popularity of the Club and thus necessitating more frequent meetings. 1949 kept the same Committee of 1948 with only very minor changes. In February, the Committee was invited to participate in the Carnival festivities, but owing to such short notice it declined the offer. The Billiards Table was bought for the sum of £65 and on 1 May 1949 the Band was invited to participate in the festivity on the return to Mellieħa of the statue of St Joseph, after restoration work was carried on it. A positive request by the Mellieħa Parish Priest Rev F. Xuereb called for the Imperial and La Vittoria Bands to play Marian Hymns together as a massed band under the direction of Maestro V. Ciappara on the 23 May 1949 on the occasion of the feast of the Marian Congress organised by the Archbishop. Another first for the Imperial Club was the organisation of an excursion to Catania on 23 July 1949 with the Band playing in Villa Bellini and, as a follow up on this, the banner given to the Imperial Band by the Mayor of Catania was to be blessed on 29 August. Another important occasion was the presenting of a watch to Father Cini of Mellieħa on the occasion of his first mass in Mellieħa. 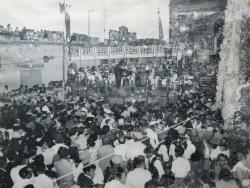 To round up a hectic year in the Club's activities, on Saturday 5 November 1949, the Band was invited to participate in the blessing ceremony of the inauguration of the electricity supply in Mellieħa. Present for this occasion were the Prime Minister, his wife, and other ministers and afterwards these were invited for a reception inside the Club. There were thirteen Committee sittings during 1949. On the occasion of the 50th Anniversary Celebrations, from 28 May till 4 June 1950, commemorating the Crowning of Our Lady of Mellieħa, the Imperial Club, together with the La Vittoria Club, played an active part with their Bands. The Club's Committee also decided to have a fireworks display on the 28 May, at the opening of same celebrations, after the Imperial Band finished its march. On 29 May 1950, His Excellency the Governor of Malta Sir Gerald and Lady Creasy were invited to visit the Imperial Band Club together with the Parish Priest and clergy of Mellieħa. The Honourable Joseph Schembri asked the Imperial Band to organise a celebration in his name on the occasion of his being elected as Honorary President of the Club's Committee. This was held on 31 August 1950 and he presented a banner to the Club. This year's fireworks for the Feast in September would consist of a fireworks display, kaxxa nfernali, at a cost of £30 and around 7000 musketterija bombs. 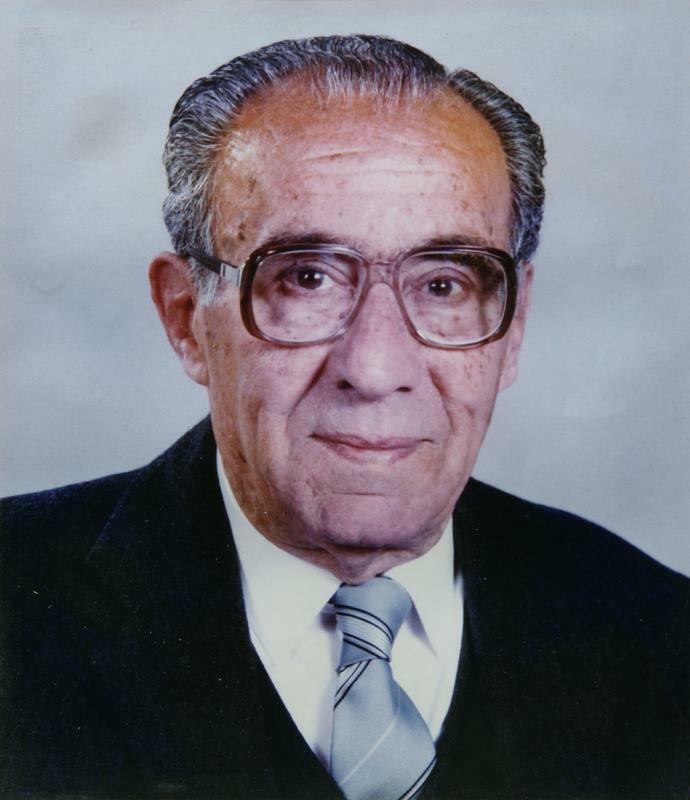 This year also saw the death of Carmelo Vella, a member of the Constitutional Club Mellieħa since 1927 and later of the Imperial Band Club. The Imperial Band played during his funeral and his corpse was carried by members of the Club. Two more initiatives undertaken by the Club were the introduction of a Rediffusion set in the Club and also the proposal to invite Rev Fr Manwel Grima to be installed as Spiritual Director of the Imperial Club. This year's Club Buffet was rented out at £75.12s.6½d. There were 15 Committee sittings in 1950. The 1951 Committee was made up of 23 officials and members. A request was made to the Club's owner to see if it was possible to cover the Club's yard with a roof, but, after being presented with certain conditions, the Committee refused them. There was also a request to hold Jazz band rehearsals in the Club premises while the Committee itself put forward a request to the Works Ministry for a flight of steps to be constructed in front of the Club building. During 1951 there were the usual Band programmes and marches performed in other feasts in Malta and Gozo and for this year's Mellieħa Feast in September the Committee ordered two fireworks displays, together with 5000 musketterija bombs. Agreement was reached between the Club and the Sons of Mellieħa Dramatic Company, SMDC, for the latter company to hold theatrical performances in the Imperial Club, under certain conditions. For this purpose some structural additions had to be made to cater for the public's convenience. Another interesting initiative taken by the Club's Committee was to record the Hymn to Our Lady, sung by tenor Zammit Harrison, together with six other marches. These were to be played on Rediffusion. There were 15 Committee sittings in 1951. On 30 March 1952 the Imperial Band conducted a funereal programme in conjunction with the Lotto Office, as an obligatory service. In June it also participated in the National Congress of the Blessed Name of God and after the procession it invited the Congress Committee members, the Mellieħa clergy , the Prime Minister and other prominent persons. The Club's hall was redecorated and painted light blue. This year's Vitorja Feast fireworks cost £51 while the best offer for the Club's Buffet was £75. A total of 12 Committee meetings was recorded in 1952. The Imperial and La Vittoria Bands marched alongside each other in the procession organised by the Community of the Blessed Name of God in Mellieħa on 1 February 1953. It also took part in the discussion, held in Floriana, about the formation of a large band made up of band players selected from all Maltese bands. Great celebrations were held in Malta on 2 June 1953, when the Committee in charge of the festivities held in honour of the Crowning of Her Majesty Queen Elizabeth II invited the Imperial Band Club to take part in the competition for decorated floats. The Committee accepted this invitation and the Mellieħa artist George Fenech was entrusted with this project. The Band was also invited by the MBCA to take part in the march past for the same occasion. Eventually the Club's decorated float went on to win second prize and this occasion was commemorated in June when the Band held a march and a programme in Mellieħa, accompanied by 4000 musketterija bombs. Presents were donated to George Fenech and Ganni Bonnici for their work on the float. Four large photos of the Imperial Band and the decorated float were printed for the occasion. For the Feast of Christ the King, to be held in Valletta, one Committee member and two band players were to take part and lay a wreath at the foot of the Monument to Christ the King in Floriana. The last meeting for 1953 was held on 13 December and it was the 13th sitting for that year. In January 1954 another attempt was made to convince the owner of the Club's premises to allow the Committee to carry out much needed structural alterations to improve and embellish the place, but to no avail. The banner popularly referred to as l-'Istendard Amerikan' was sent to the Sisters at Zejtun for restoration and for this year's Feast in September the Committee decided on having one fireworks display with 300 bombs, another colour fireworks display, 7000 musketterija and 1000 colour sfafar, a substantial increase over the past years. Mr E.W.Grech was nominated as member on the MBCA Council while another two members were to attend the General meetings of the same association. The Club's Spiritual Director, Rev Fr Manwel Grima, was to consult with the Parish Priest regarding a Marian Pilgrimage which the Imperial Committee had proposed to organise from the Parish Church to the Sanctuary. One of the Band's trophies and a bouquet of flowers were to be presented to Our Lady in memory of same pilgrimage. On the same spiritual note, the Imperial Club was to take part in the Feast of Christ the King in Valletta. This year the Club's Buffet was rented at £81.2s.10½d. There were 14 Committee sittings in 1954. 1955 was the Silver Jubilee Year for the Imperial Club, though it had already been established, under different credentials, since 1924. The first proposal asked for LP Mr George Scicluna to be accepted as an Honorary Member. A vote was taken resulting in the affermative. Initially it was decided that the 25th Anniversary of the Imperial Club would be celebrated on 28 August 1955 but this date was later changed to 18 September 1955. A commission of 4 members, including the Bandmaster, was set up to organise the event and to prepare the Band's Programme. For the occasion it was decided to invite His Excellency the Governor, Sir Robert Laycoak, Archbishop Michael Gonzi, Prime Minister Dom Mintoff and other prominent persons. A Maltese banner bearing the George Cross was commissioned by the Club, to be made for the same occasion by the Sacred Heart Sisters of Mellieħa. 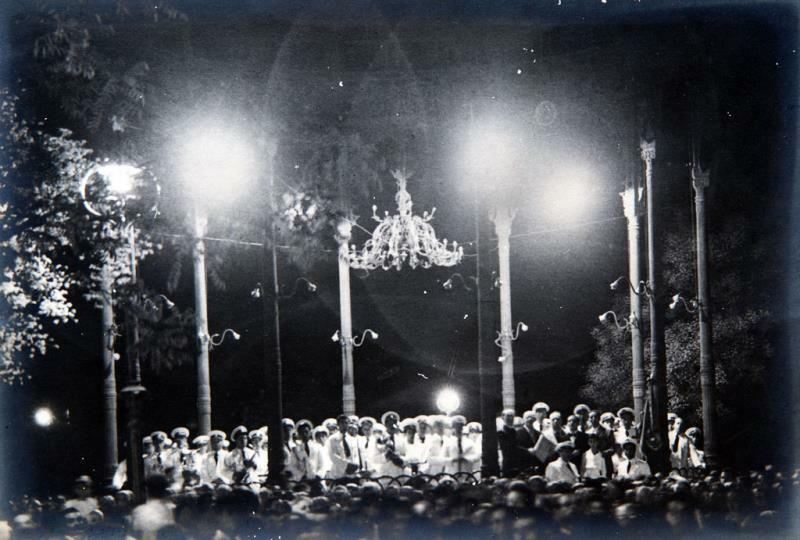 A special large bandstand was to be rented from the Duke of Connaught Band of B'Kara and the Imperial Committee members were to present their Club with a showcase for the Club's Music Archives. To help in financing all these, the Committee asked the Prime Minister for a special permit to hold a fair in Mellieħa Bay on 10 July 1955, and this was granted. There were 12 Committee meetings in 1955 with the last one being held in November. It was the 306 Sitting since the very first one held on 31 August 1924, an average of 11 meetings a year. It was quite an achievement coming from a few common people who, through their love for their village, their club and their band, worked hard voluntarily to establish something to last. They had laid the foundation stone for an entity that would flourish and develop into one of the most popular Band Clubs in Malta. Their zest to participate in all that was beautiful and satisfying, encouraged them further to look ahead in their quest for more. Over these first 25 years of the Imperial Club's existence, the subsequent Committees have thrived to achieve their aims not only as regards music and band standards but also as a social and entertainment entity, thus initiating and creating much needed popular occasions for the Maltese people and especially for the Mellieħa community. Great sacrifices were made by the early Committees, as far back as 1924, who invested in something that they dreamed and believed in, and their heavy commitment brought results and bore fruit for future generations to harvest and improve upon. The Club's popularity is amply shown in its sundry participation in titular feasts all year round, both in Malta and Gozo, together with its never ending list of activities and celebrations which have made the Imperial Band Club indeed a Band Club for all seasons.